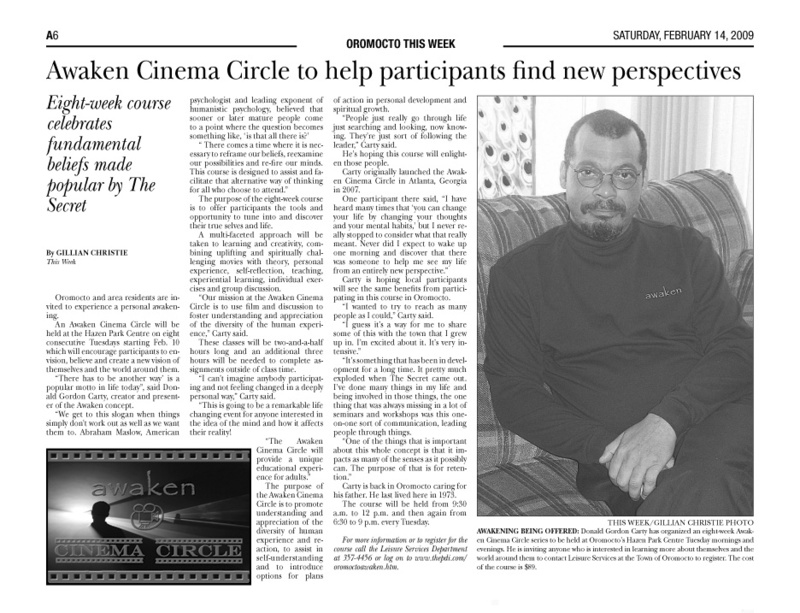 Instructor: Donald Gordon Carty, President and founder the Personal Development Institute©, awaken Forums, and awaken - dare to envision, believe and create™. Course: Eight Weeks - 2 1/2 hours classroom, approx. 3 hours homework/fieldwork per week. One 1 hour one to one mentoring/coaching session with instructor per week (in person or by phone) Thursdays or Fridays. 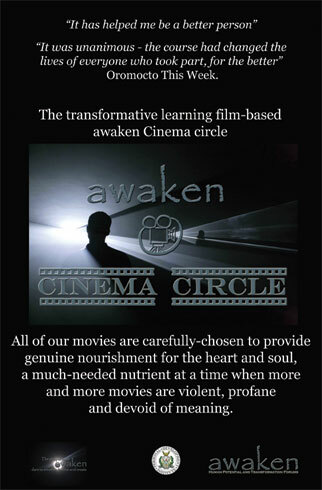 Please follow this link to register for awaken Cinema circle. You will learn to identify and disolve the mental barriers that distort your perception of reality, hold you back, and rob you of the peace and fulfillment you deserve. You will unlock the freedom to think in new ways. You will gain awareness of your power to intentionally shape and mold your world. You will recondition your mind to create the life you most desire. NEW PHASE TWO - TBA. In this NEW phase you will learn methods to explore the "inner cosmos" and how it relates to the "outer cosmos" of the physical world. This phase is designed for those who have completed the eight week course. Class size: each class Limited to 8-12 participants. Supplies: Inner Work Journal created by participant, 2.5 inch Three ring binder blue, and some paper and pencils required. All other supplies are included. Internet access may be required and a few pages of printing for some of the coursework. But can work-around. To Register : Please follow this link to register for this event. Please email awaken@thepdi.com for questions or concerns.